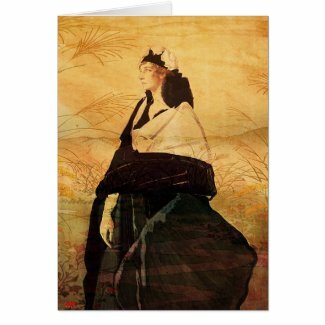 I am sure that the artist Émile Vernon and I must be related somewhere along the line! My father’s side of the family came over with William the Conqueror from a place called Vernon in France. I’m doing research on my family tree so I’ll let you know! A 17th-Century portrait by the first woman in Britain thought to work as a professional portrait painter in oil is acquired by the Tate. Image removed at the request of the artist. 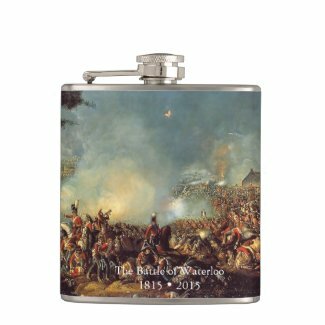 I’ve yet to sell the flask below but I’ve sold quite a few mugs and prints with the battle scene by William Sadler, especially in 2015, the 200th anniversary of Waterloo. The Duke once met a little boy, crying by the road. 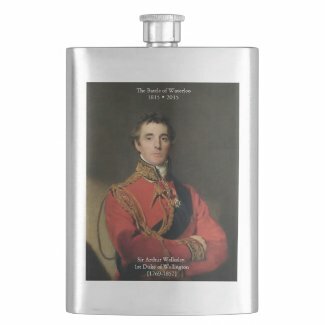 “Come now, that’s no way for a young gentleman to behave. What’s the matter?” he asked. Keen to ease the little chap’s discomfort, the Duke promised to attend to the matter personally. The stream of news and discoveries about Leonardo da Vinci’s Mona Lisa are seemingly never-ending. In a shocking twist, it’s now been reported that a second version of the iconic portrait might have been discovered in a private collection in St. Petersburg. The lynx is from Vintage Printable. I created the background by blending a couple of 2 Lil’ Owls textures with one of my own concoctions. The lynx is mostly found in Eurasia and North America, although I’m sure I saw one in the shadow of the olive trees in our garden just the other evening. Okay, I’m lying. It was next door’s cat but you would have thought it was a lynx by the noise our dog made. The French philosopher René Descartes was born on this day in 1596 at La Haye en Touraine. The first quote below is, of course, the one that everyone knows in its truncated form, even if they have no idea who said it or what it means.